The huge ape of Mighty Joe Young. The fighting skeletons of Jason and the Argonauts. And, of course, the angry T. Rex of Island of the Gwangi. All these creations and many more, seared into our collective consciousness, are the work of one man--Ray Harryhausen. The father of special effects, Ray Harryhausen is revered among film historians, animators, special-effects designers, and everyone who's ever seen his inspired stopmotion creations. In 2004, Watson-Guptill published Ray Harryhausen: An Animated Life to critical acclaim and sales of over 20,000 copies. 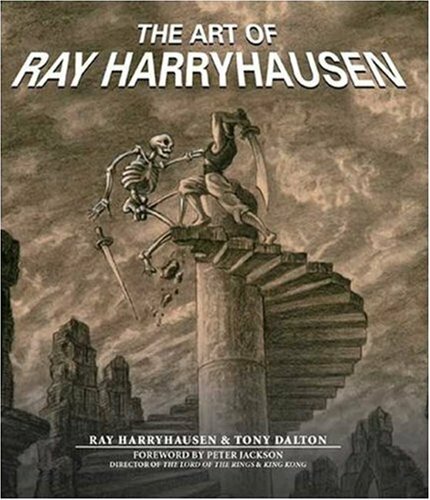 Now WG is pleased to present a companion book: The Art of Ray Harryhausen. Concise essays and lavish illustrations look at each of Harryhausen's many specialities, including aliens, prehistoric creatures, mythological monsters, and much more. At last, fans of Harryhausen can see the progression of his work over time, in a visual celebration of his art and artistry. Ray Harryhausen, the greatest animator in movie history, recently completed the film The Tortoise and the Hare, a fairy tale originally begun more than fifty years ago; it was released to great acclaim. He lives in London. The Omen. A film historian and producer, he has written for Variety, Broadcast, and other industry magazines. He lives in London. Peter Jackson is the Oscar-winning director of the Lord of the Rings trilogy and King Kong.